I am from Bombay -the city of dreams and a firm believer in destiny. I have planned several memorable international holidays for my clients at Namaste Tourism. I too had a dream – The dream of travelling to a foreign land, exchanging currency, getting lost in translation, the immigration process, getting my brand new passport (no crease whatsoever) stamped, picking up an accent, and being called “phoren return” by my folks and friends. Phew, it is a dream that looked quite distant. 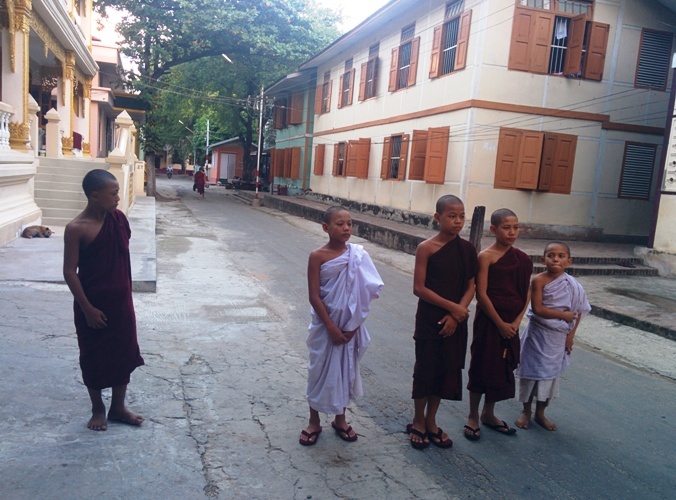 Until one day, to my pleasant surprise, I was asked by my Management to accompany a group of 39 experiential holiday travellers to Burma – Mystical Myanmar. This would be my maiden trip to a country I knew nothing about. I had researched in the past about neighbouring countries such as Afghanistan, Nepal and Bhutan as my love for travelling got me into this industry. 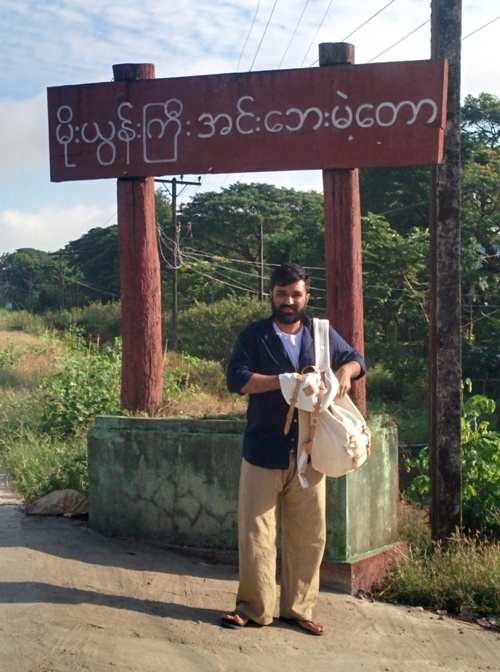 Destiny had something else in store for me – to pack my haversack for Burma. And I went with the flow and let destiny take the lead. Just a week prior to my trip, I was in a quaint and popular vegetarian restaurant in South Mumbai – Burma Burma. Ah!Not my choice, it’s the destiny (you see). And the thematic restaurant offered me more than just the taste of the native country. The pictures in the washroom were alluring. The bags were packed and I was all ready to board…. I woke up with a smile that I maintained all through my journey (see picture as proof). 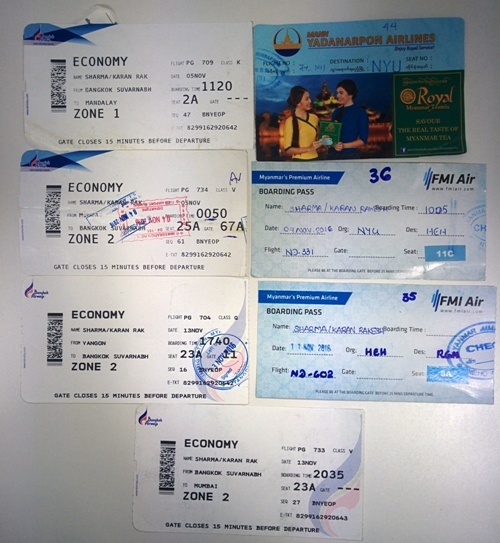 With a bigger smile, smaller backpack and in the company of 39 enthusiastic travellers, we took the early morning connecting flight to Mandalay via Bangkok and we landed late in the afternoon. It was surreal to see ‘Arrived’ being stamped on to my fresh passport. Felt instantly rich with the currency exchange rate of INR 1 to KYT 20. KYT is the currency code for Khyat, pronounced as Chaat, which would be the currency to use during our stay in Burma. The standard of living in Burma is quite easy on the pocket – the exceptions are transport, lodging and recreational activities. Interestingly, even with such an encouraging currency exchange rate, Burma is the 2nd most expensive country to travel in South-East Asia for tourists. Burma has seen a surge in tourism not only from India but across the globe and we at Namaste Tourism have planned some unique experiential journeys for families, individuals, honeymooners and groups as well. If you want to rough it out, you can still explore Burma on a back pack and with limited budgets. However, with time being a constraint, planning a holiday can maximise your experiences in minimum time for you to take back everlasting memories. We checked in to our hotel on arrival and…. 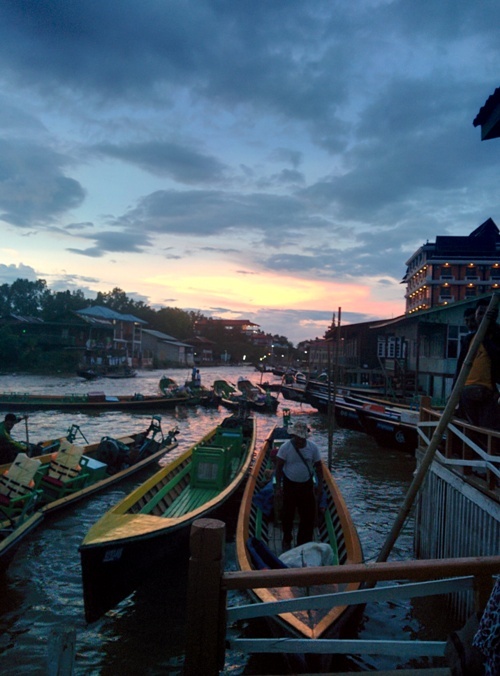 Without much delay, we checked out Mandalay….. The city so gorgeous, that it almost inspired me and turned me into a poet. Mandalay is the 2nd largest city in Myanmar and the former capital of Myanmar. It is also the economic and religious hub of upper Myanmar. I was surprised when a man speaking fluent Hindi helped me in communicating with the local shop vendor and also got me a good deal for a belt I was keen on buying. I didn’t buy the belt though, but I made a friend with Mr. Jayant. His parents were born in Pakistan, they moved to Gujarat before partition. Then they shifted their base to Mumbai for some time, before being brought here by the British to settle in the land of pagodas. 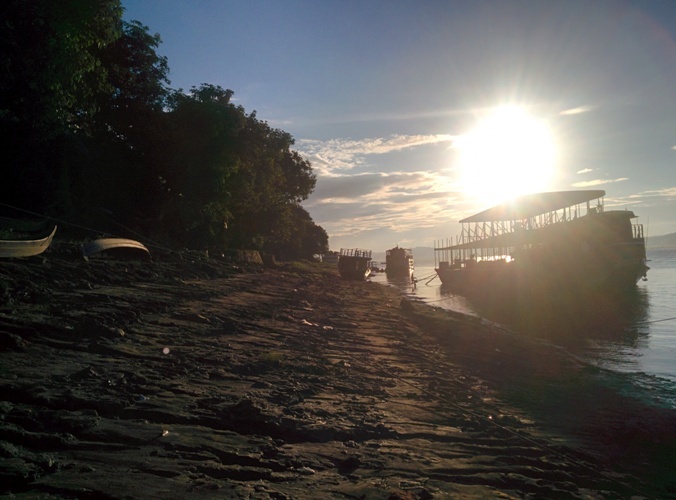 To explore Mandalay it is highly recommended to spend atleast 3 days. Dedicate a day to visit the City of Amarupura (City of immortals). Situated on the bank of Irrawaddy River, Amrapura was twice the capital of Myanmar and is just 11 kilometres from Mandalay. 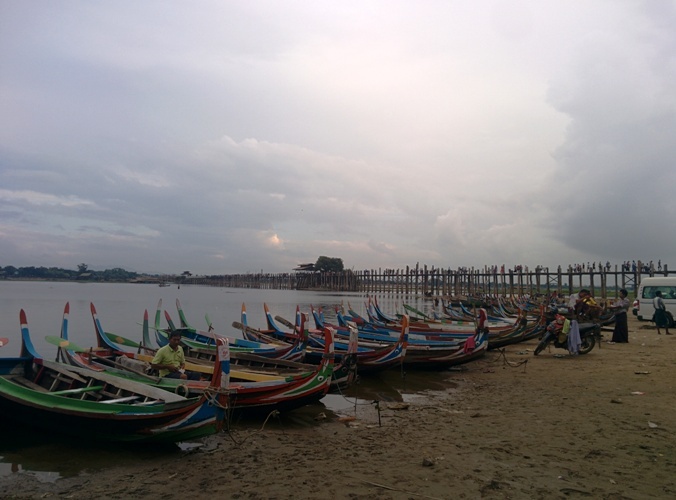 a) U Beinbridge (For its amazing sunset): U Bein Bridge is the world’s longest and oldest teakwood bridge dating back to the year 1850 and spanning 1.2 kilometers. In all 1086 pillars stretch out of the water, some of which have been replaced with concrete. The best time to visit the bridge is during sunset – the best time to be there and see the locals as well. b) Mahagandhayon Monastery: Established in 1908, it is one of the largest teaching monasteries in Myanmar. 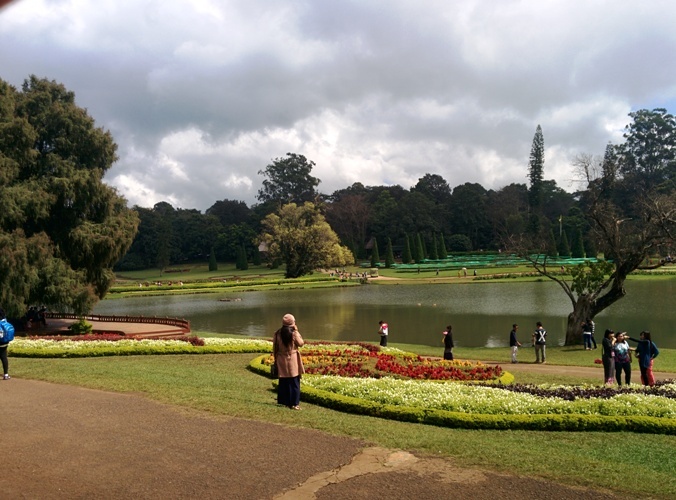 c) PyinOo Lwin: To escape the summer heat of 40 degrees Celsius, the British went up the hill (1100 meters above sea level) and built this hill station. A popular weekend getaway for locals as it is just a couple of hours drive from the city. The air is much cooler, place is quieter, you are surrounded by trees & a good break from the city for a few hours. d) National Kandawgyi Botanical Garden: Established in 1924, a 177 hectare botanical garden located in the Alpine town of PyinOoLwin. Gardens are home to 514 species of indigenous trees and 74 foreign species and 75 species of bamboo. Of the 300 species of indigenous orchids, 178 were already collected in 1942. There are 25 rose species, and 6 land lily species. Medicinal plants for traditional medicines are also grown. 1) Fossils Museum – houses fossils of mammals, reptiles, and invertebrates including a HUGE elephant tusk on display. 2) Petrified Wood Museum displays fossils of plants, colorful stones, toddy-palm roots, as well as things made from fossils of plants. 3) The Butterfly Museum has various species of butterflies from Nepal, Taiwan, South America, Japan and South East Asia. Beetles from every continent on display. The shapes, sizes & the colour of the insects that I saw is very difficult to put in words, I had never seen or imagined that these beautiful creatures existed!! How I wish that they would come to life and fly !!! You have an option of exploring the garden in a buggy or by foot. After visiting the botanical garden, we had lunch at a local restaurant called San Francisco. You can’t leave Burma without trying the Khow Suey. Vegetarian food options are easily available. Juices are a must try. 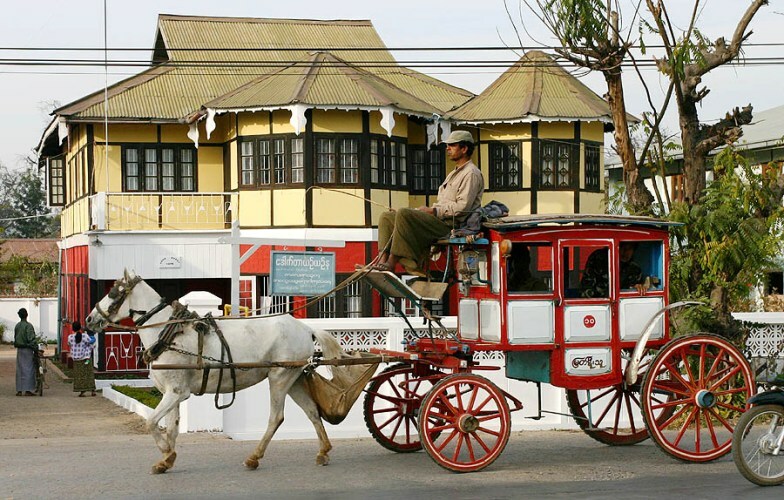 After a sumptuous meal, we hopped on to the horse carriage for a smooth ride in the past – back into the colonial times. 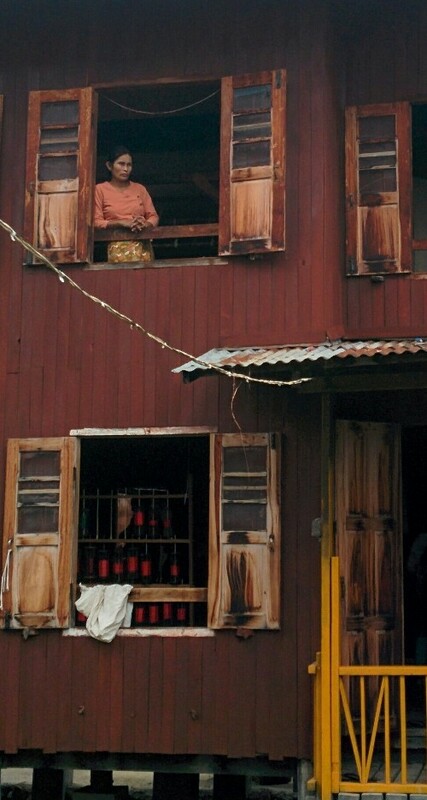 Pyin Oo Win (downtown): Lots & lots of beautiful colonial houses. While you enjoy the view, the historical fun facts are truly noteworthy. The guides have a certain character here and they do have the knack of narrating an otherwise dull story with enough drama. For the health freaks, this is a good place to buy avocados & jackfruits. The first three days were overwhelming. However wonderful Mandalay was, I was keen to see the images on display at the Burmese restaurant in Mumbai come to life. 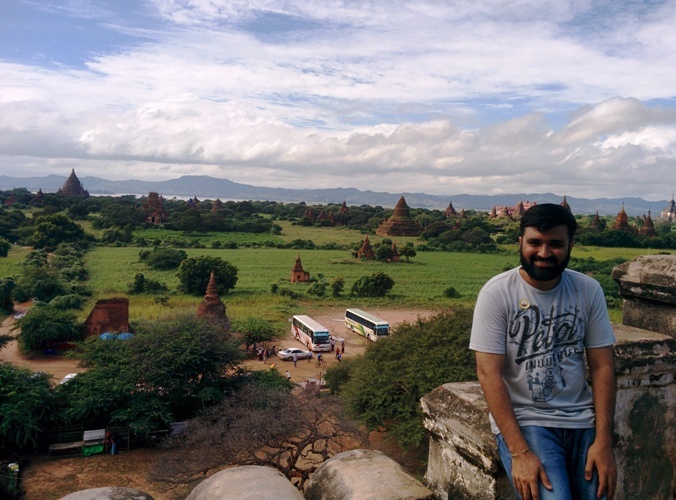 It was time to explore another interesting city – Bagan. 25 minute flight from Mandalay, time to keep your postcard in your pocket, get out your camera and create a picture perfect postcard for yourself. 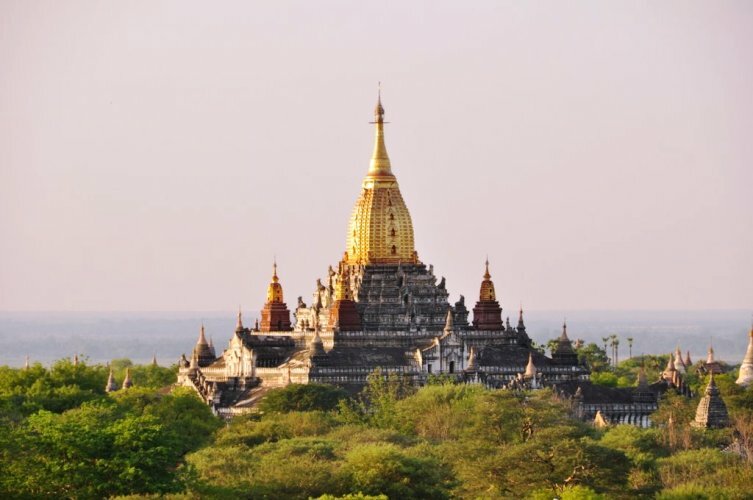 Legends say, a visit to Myanmar is not complete without visiting Bagan. (Legend being my guide –Ku Ku). 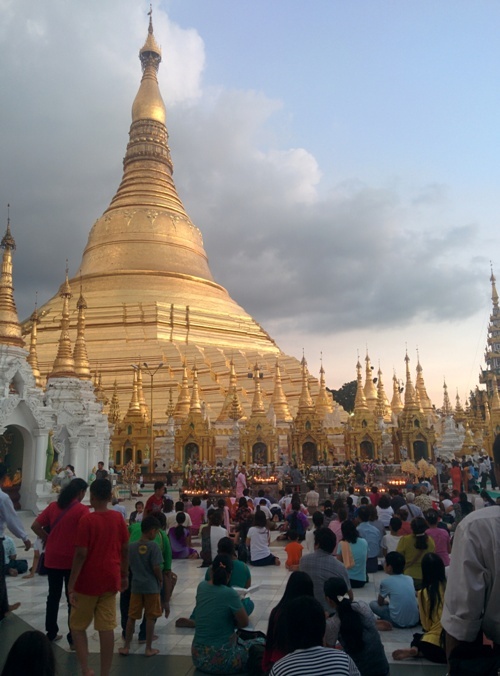 Arguably the best city to visit in Myanmar and also my personal favourite. Bagan at its prime is like golden setting sky shadowing ancient pagodas that stand tall at a distance while you walk on a dusty road. On either side of the road are these beautifully rustic 13th Century pagodas. 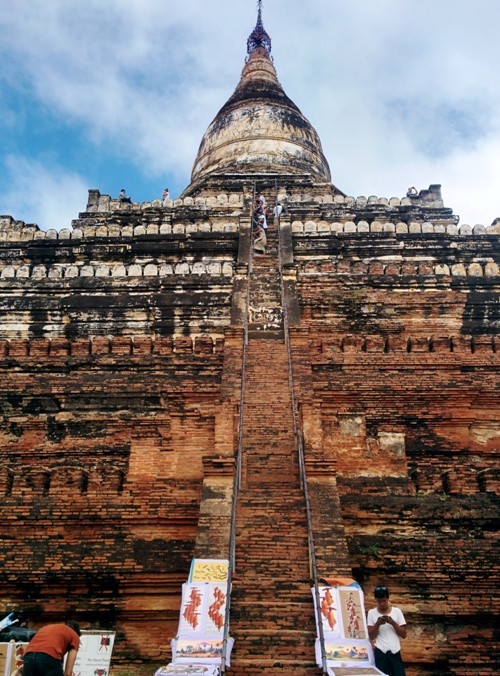 Bagan, the Temple City now boasts of 2230 pagodas (earlier 4000).This is the place that will make your Snapchat and Instagram followers hit the like button several times. My 2 nights stay in Bagan did not do any justice to the lovely city. There is tons to be done here – For the soft adventure traveller, there is hot air ballooning here that takes you to a visual of a life time over Old Bagan . 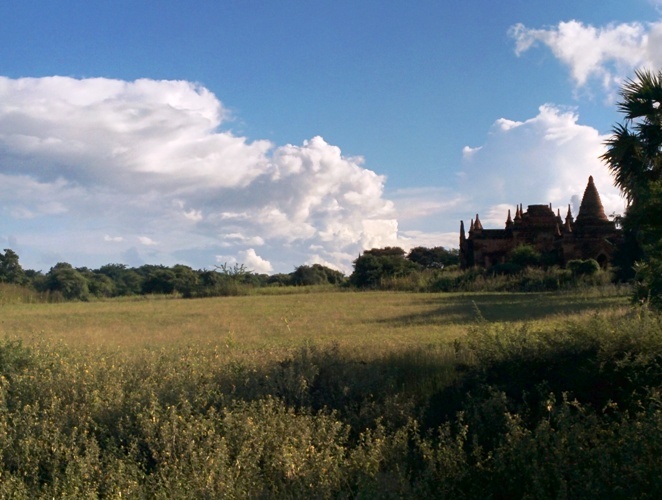 You can also explore Bagan on a bicycle or an e-bike. New Bagan is cool, trendy with several restaurants and clubs, whereas Old Bagan is the religious section and attracts more tourists. Most of the newly built hotels are in New Bagan. Ananda Temple: This well preserved 13th century temple is inspired by the Nandamula Cave temple in the Himalayas. The temple has 4 entrances one from each direction. In the centre of the cube are 4 Buddha statues (9.5 meters long) facing towards the gate. The statues depict enlightened Buddha. Shwesandaw Pagoda: Shwe: gold and Sandaw: hair. Buddha’s sacred hair is placed inside the stupa. There are 5 terraces and as you climb to the top, it gets steeper as you go higher. The higher you go, the view gets even better. View from the 5th terrace is amazing. 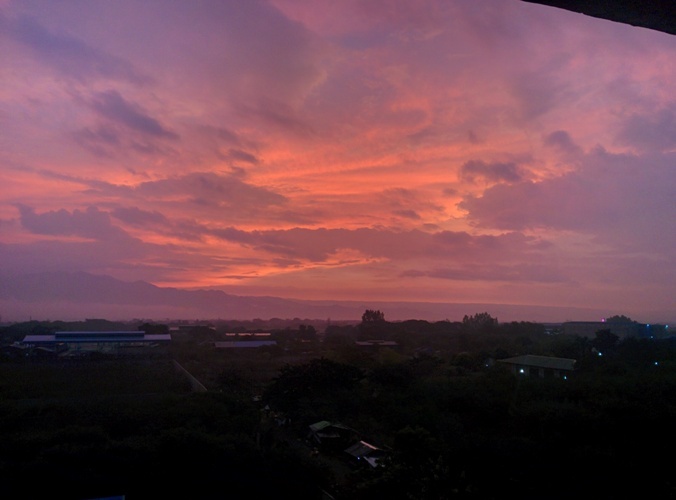 The best time to be here is during the sunset and sunrise. 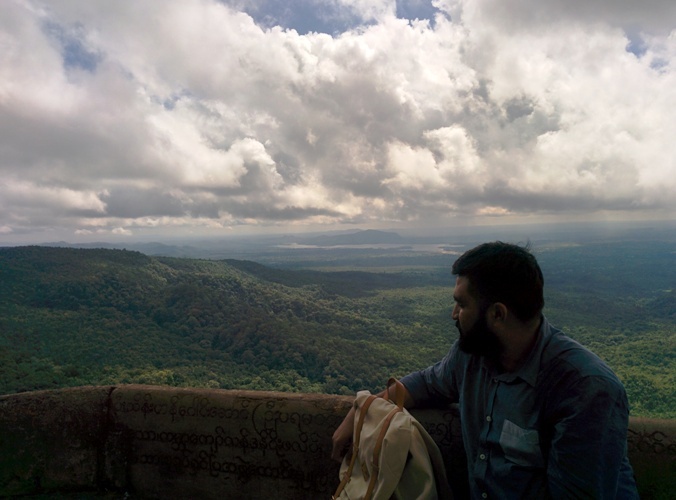 You can get good panoramic photos of the landscape here. Mt. Popa:The name Popa is believed to come from Pali/Sanskrit word puppa meaning flower. This is an extinct volcano. 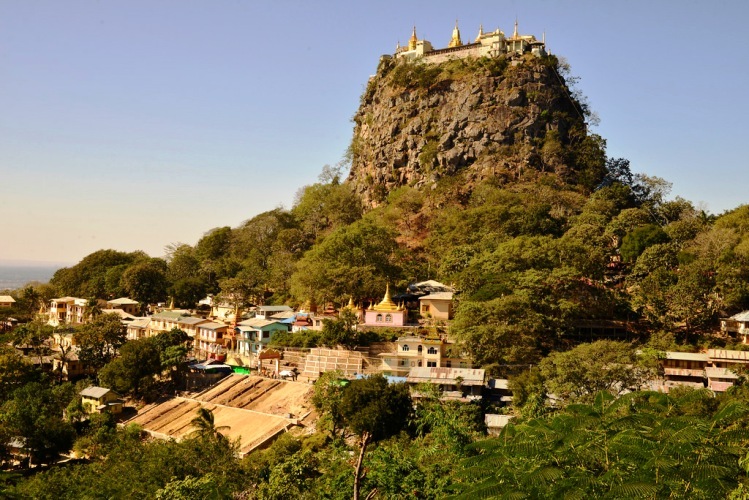 On top of the mountain is a golden pagoda which is home to 37 nats (Burmese spirits). In total you have to climb 777 steps to reach the top. There are a lot of monkeys along the way, don’t keep anything flashy or anything that attracts their attention. Once at the top, you can visit the shrines & hear the interesting stories about the nats that reside here or just sit and enjoy the most stunning view of the trip. 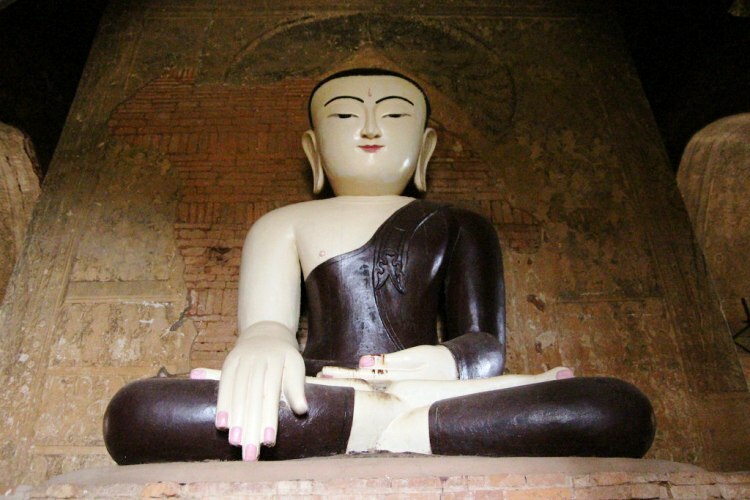 Nanda Manya temple: A very small temple with 11th century murals depicting Buddha’s life. Just being in the atmosphere of the temple I had an alien feeling, may be looking at Buddha’s statue up close & the murals around with the peculiar smell you get from something very old. Murals were interesting, actually this was the first time I happen to see the murals which also happen to be of the 11th century. Kyatkan Cave: Very close (walking distance) from the Nanda Manya temple are these 11th century man-made caves. Kyatkan pronounced as chakan caves. Monks started digging underground to escape the heat. 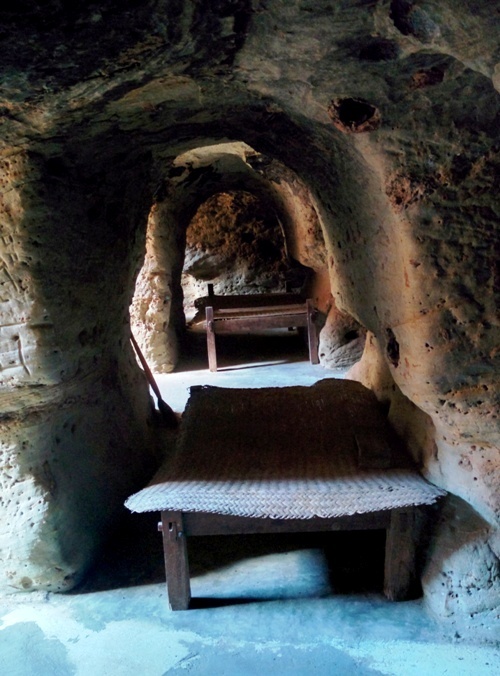 The cave is still used by monks staying there. Not recommended if you are claustrophobic. 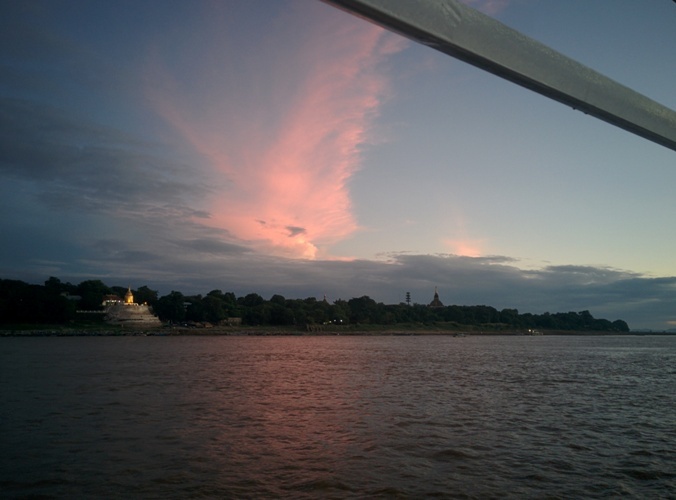 Irrawaddy (Sunset cruise): I think if the ancient rulers of the previous dynasties of Bagan were to look at the river today, they can still recognize the city from the banks. Here you witness muddy banks, people travelling in bullock carts & horse carriages, ox ploughing in nearby fields, small huts & pagodas along the bank. 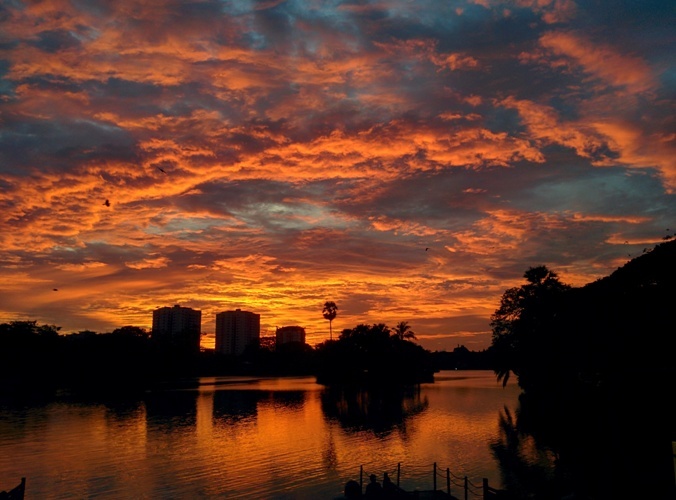 This is one of the sunsets where you want to quietly sit and stare at the sky as it adorns with changing hues against a stunning backdrop while the sun sets into the night. With many display pictures and insta moments, we were all set to fly off to leave for Inle Lake. I guess this was the perfect way to say goodbye to Bagan – by witnessing one of the finest sunsets. 40 minutes flight from Bagan & you land at Heho airport. 1 hour drive from Heho to a town called NyaungShwe which is the main town for InleLake. A boat ride is advisable preferably before sunset. 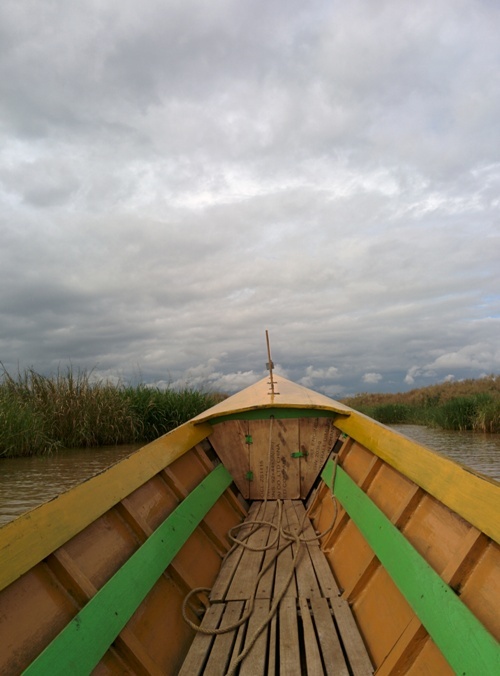 We just managed to take the last boat and halfway through it was dark, water was slightly rough, breeze was cooler & the propeller of the motor-boat kept started to get entangled with plants growing beneath the lake. Imagine a lake and you are in the middle, seated in your motorboat and there are mountains and a lake for as far as you can see, floating gardens and markets. 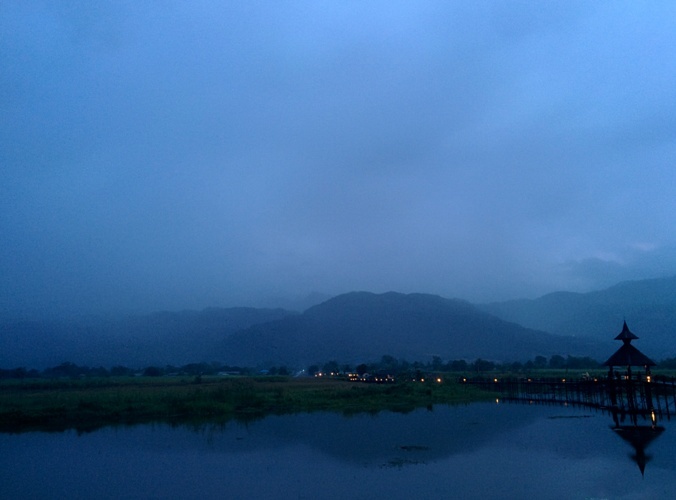 Inle Lake is situated between two mountain ranges – the lake itself is 22 kilometer long and 10 kilometer wide. There are few hotels that are on the shore of the lake – some are a bit further (10 to 15 minutes walk) from the shore & some are completely surrounded by lake. 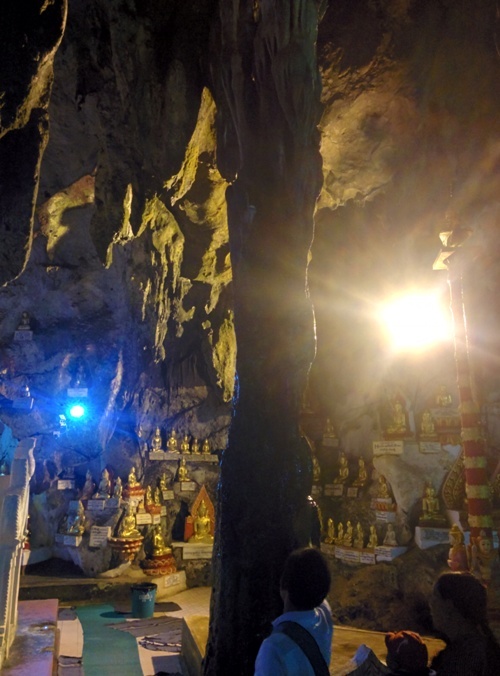 We visited Pindaya Caves – 1 hour drive from Heho airport. The drive from the airport to the cave is very scenic. The journey is a treat for photographers; professional and amateurs alike. You will drive through hills and farms, a tip for those on this particular road (airport to Pindaya) – switch off your air conditioners & roll down the window to enjoy the freshness of the air especially if you are coming in from highly polluted cities like Mumbai and Delhi. Caves are again at the top of the mountain, no breaking sweat here; take a lift to the top. 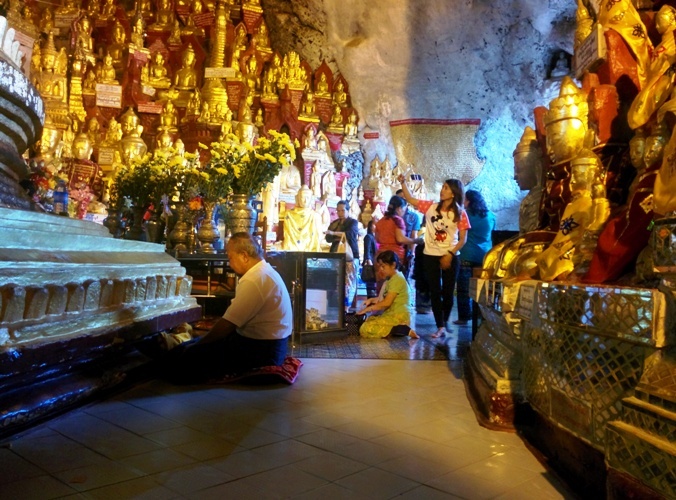 This is a religious, stalagmite and stalactite cave with close to 8000 Buddha statues. Statues made of an array of materials. The cave is well maintained with tiles flooring, on the ceiling they have placed plastic sheet so that drops of water do not fall on the ground. It gets more humid the deeper you go in, but you can visit the caves in 20 minutes. Good panoramic view of the city from the top. We also visited the weaving village of Inpawkhon – here I saw something that I had never seen in my life – silk thread being extracted from a lotus stem. Ladies, you can buy some good traditional Burmese clothes here but bargain up to 30% of the quoted price. Must buy: Shan pants and jacket! Toward the end of the day we visited the hidden Indein Pagoda, on the western shore of the lake. 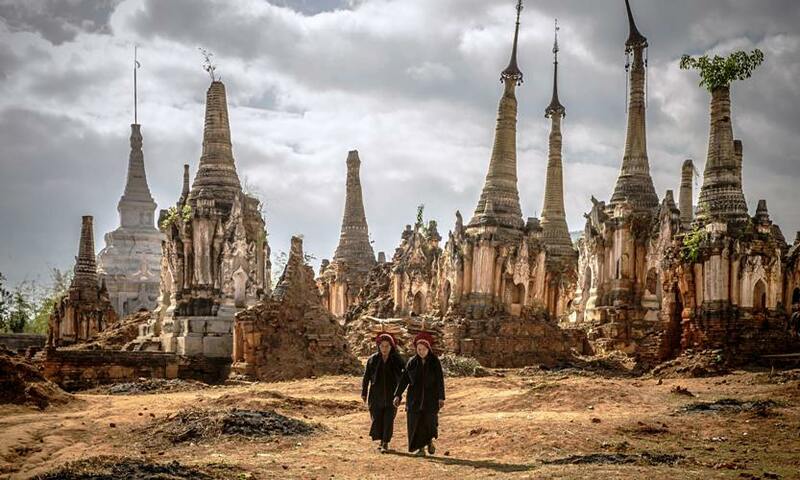 This place is actually out of the world – one of the most amazing historical sights on the shore of the lake consisting of hundreds of small stupas overgrown by moss and greens. The complex dates back to the 8th century. Some have started to weather, while some are still going strong. The history here is also very interesting and you must insist on including the same as part of your itinerary when travelling to this region. 7 days in Myanmar and I still don’t miss my home. Nauk ta ku Station, Yangon! 2 hour drive from Inle Lake to Heho airport, we had to leave early at 0630 hrs in the morning for our flight to Yangon. As soon as we landed in Yangon the hot & humid air, the traffic gave a very homely feeling. 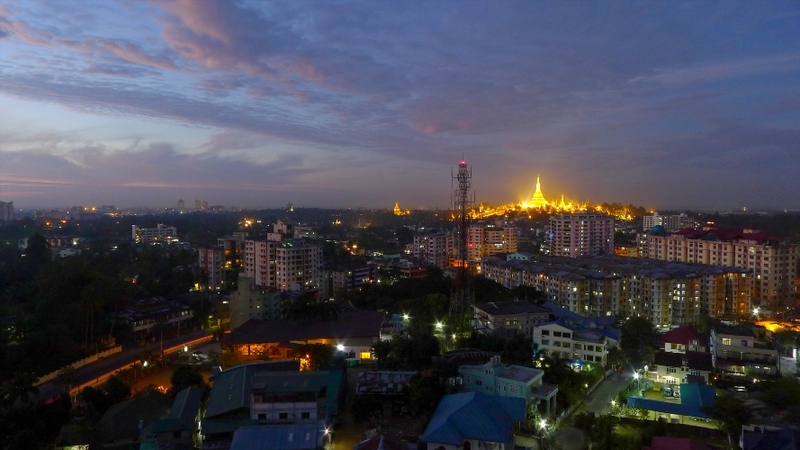 Yangon is the Mumbai of Myanmar – the commercial capital. It is crowded city, lots of traffic & quiet contrary to the cities that I visited. 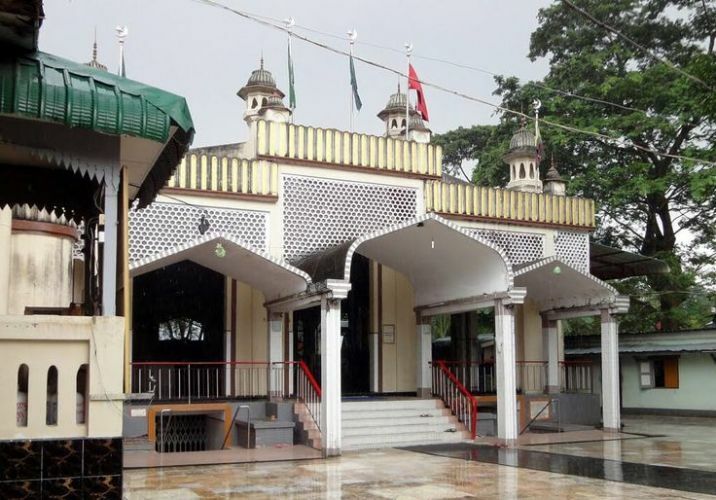 A lot of Hindu temples can be found here, don’t be surprised if somebody approaches you and starts talking in Hindi or you see a woman in saree adorned with – sindoor and mangalsutra. A lot of Indians were brought here during the British rule. They were the backbone of the government and economy serving as soldiers, civil servants, merchants and moneylenders. Chaukhtatgyi Pagoda – A 65 metre Reclining Buddha. As the original Buddha statue was kept in the open, it started to deteriorate and was taken down in the 1950s. The new statue was constructed in 1978 inside a shed, decorated with very expressive colours, white face, red lips, blue eye shadow, golden robe and red finger nails. The soles of the feet contain 108 segments depicting incarnations of Buddha. The atmosphere is serene although the Pagoda is in a noisy neighbourhood. The hall is huge and covered in cane mat. A lot of paintings on the wall highlighting Buddha’s life and teachings can be seen. If you’ve not seen a reclining Buddha in your life, this could be an interesting visit. Bahadur Shah Zafar’s Tomb: The last Mughal King Bahadur Shah Zafar was exiled to Yangon by the British in 1858. He died here in Yangon in 1862. At the time of his death, he was buried inside his prison walls. The exact location was a mystery till 1991. When construction worked accidently cracked open his grave while digging in this area. In 1991, a proper mausoleum was constructed. 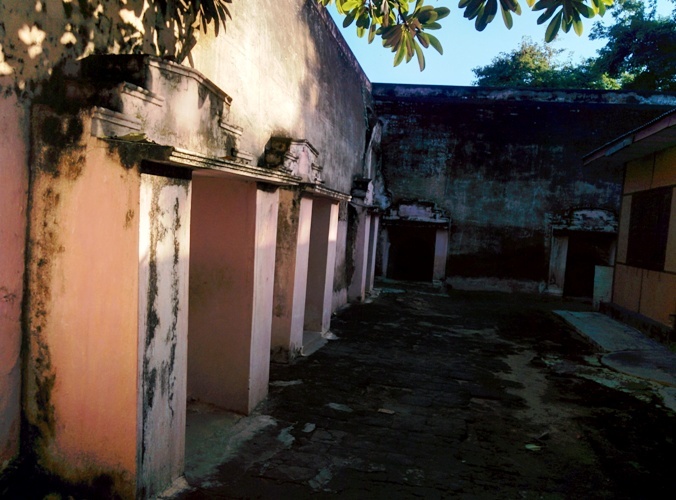 Now the tomb is in the basement level while at the ground level is a mosque. 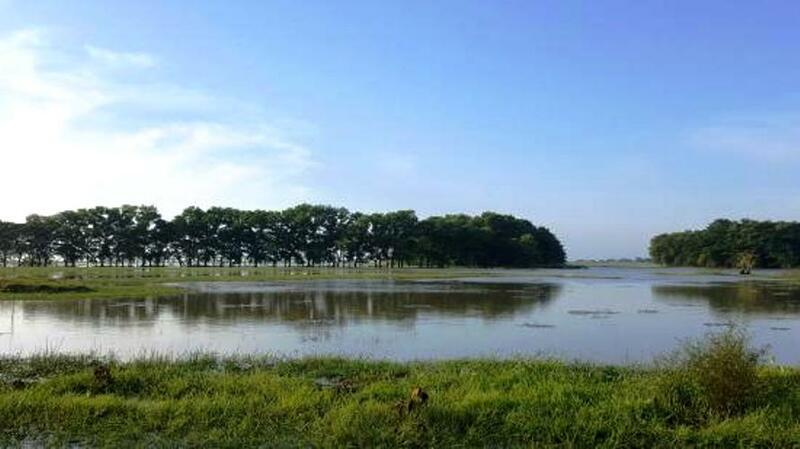 Moe Yun Gyi Wildlife Sanctuary & Wetlands: 115 km north of Yangon. 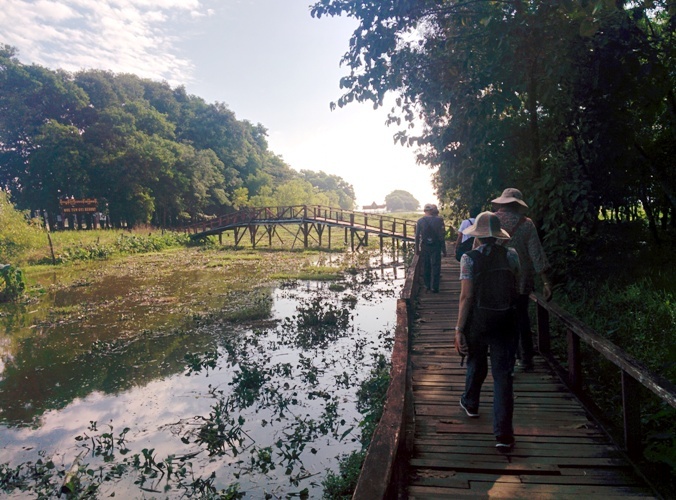 A two hours drive from Yangon, you will have to leave very early to be here for an early morning bird watching experience. Every year, millions of birds fly from the Northern Hemisphere to the south along the East Asian- Australian Flyway to escape from winter. They stop to rest and feed in Asia. So the flyway contains a network of wetlands and Moe Yun Gyi is on the route. Wetlands is a vital shelter for both resident and migratory birds. A census at Moe Yun Gyi revealed that there are 125 species of water birds including 70 species of migrants. Little Grebe, Grey Heron, Sarus Crane, Asian Open- Bill, Ruddy Shelduck, Purple Swamphen, Spot – Billed pelican, Pheasant Tailed Jacana, Black Winged Stilt, Great Cormorant, etc., can be seen abundantly. The best season to visit here is from November to March. This is a paradise for bird watchers. We left a little late and by the time we reached the sun was strong & the birds in shade. We could see a few birds at a distance. Bird viewing with an expert here is possible, although the boats were not well-equipped as the motor made a lot of noise, driving the birds away. 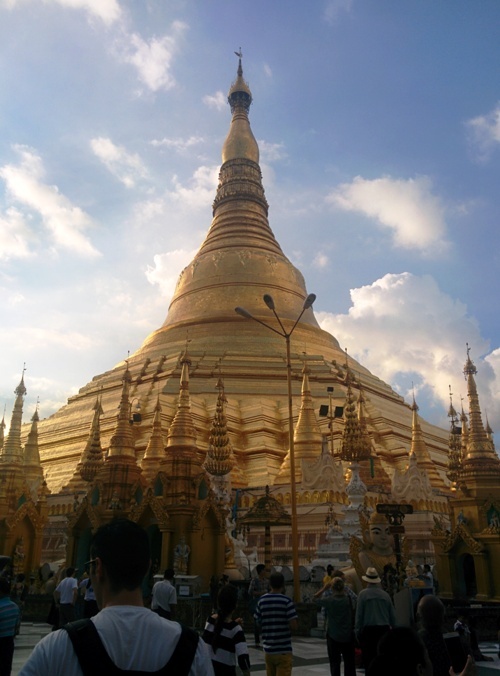 Shwedagon Pagoda: This 2500 year old golden pagoda is synonymous with Myanmar. Pagoda is believed to be constructed during Buddha’s time. This contains Buddha’s hair & other holy relics. Now covered with hundreds of gold leaf and looks beautiful even from a distance. Near the North West corner are 2 banyan trees of which 1 was grown from a branch cut from the Bodhi Tree in India where it is believed that Buddha got his enlightenment. The top of the pagoda is encrusted with 4531 diamonds, the largest of which is a 72 carat diamond. There are binoculars with which you can look at the peak of the pagoda. You need minimum 2 to 3 hours just to know the history of the place which is very interesting and worth every minute. Sule Pagoda& Downtown Yangon: Situated in the downtown area, this Pagoda is believed to be 2000 years old. The pagoda enshrines Buddha’s sacred hair. 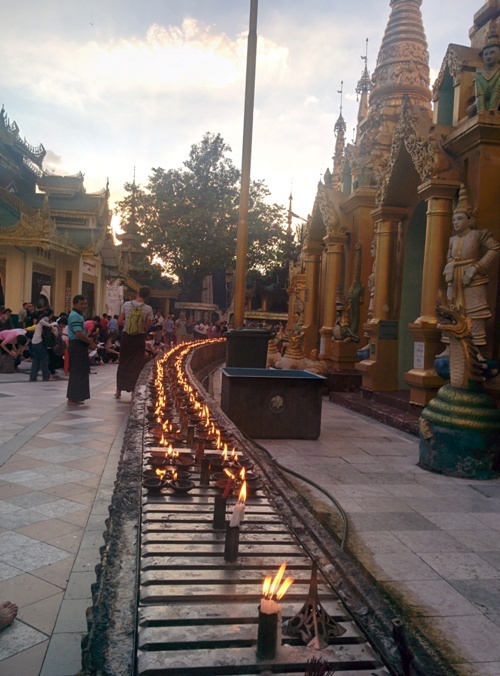 People who cannot visit the Shwedagon come here to pray. Meetings during the military rule for fight against the British and the Japanese were also held here. The area of Sule Pagoda is very interesting, the MahaBandoola Park in the centre. It is here in 1948 an obelisk was installed to commemorate Burmese independence from the British by replacing Queen Victoria’s statue. 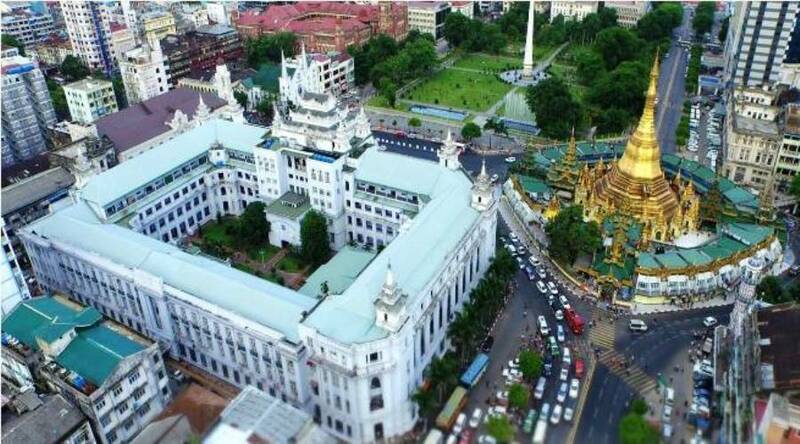 The Immanuel Church is in one corner.The mosque nearby and the former City Hall & High Court Buildings of Myanmar for their colonial style architectural design on the other side. 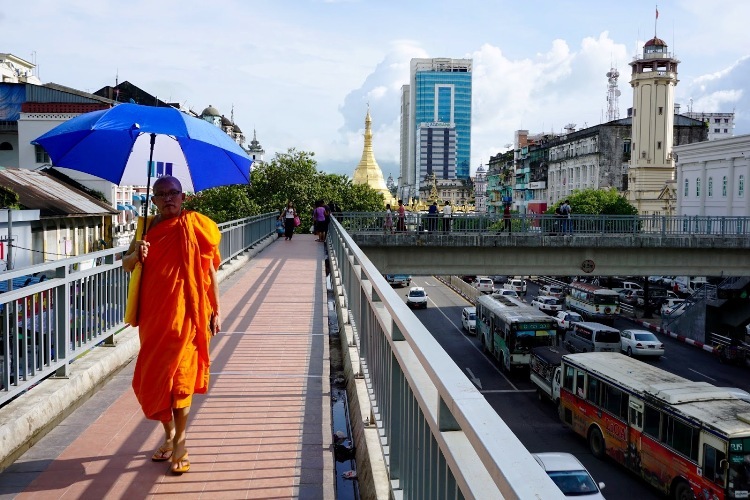 Actually it is best to end your trip in Yangon, not only because of the flight connectivity, but this halt also acts as gentle reality check. 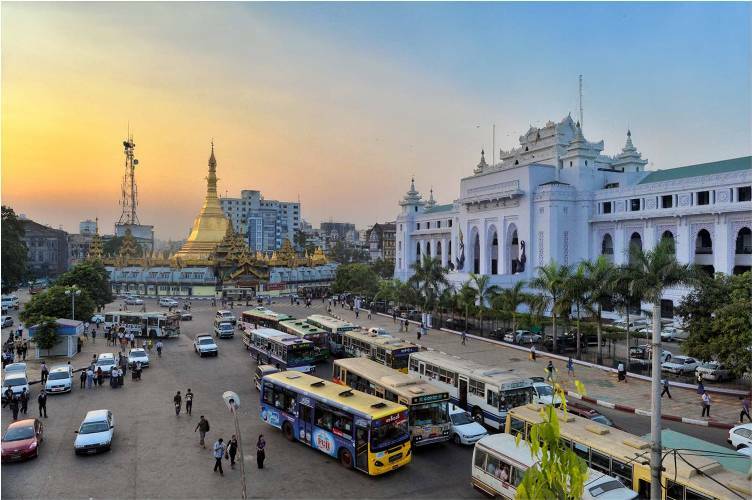 You acknowledge the beautiful cities you had visited before arriving in Yangon before you get back to your routine life once you are back home. As my guide, Ku Ku says, to describe Myanmar in one word is difficult, so he gave me a few; The Golden Land with a Smiling Face, and he did a good job with that. Over the past 9 days, I realized my distant dream, I exchanged cultures and beliefs, learned a new language (well almost), got lost in the beauty and found myself, happily got my brand new passport (no crease whatsoever) stamped, picked up fresh ideas, and was gladly called “phoren return” by my folks and friends. I couldn’t have asked for a better and more hospitable country to “pop my cherry”, so to say. Seychelles, keep the sky clear, and store the chill in the wind. You are next, beach (no puns intended)!!! It took me 27 years to reach Myanmar, I hope you don’t wait that long. When are you heading to Myanmar, the Namaste Tourism way – let the journey begin. For extensive travel itineraries on Myanmar (Burma) visit www.namastetourism.com or contact our Destination Planner: +91 98331 28208.